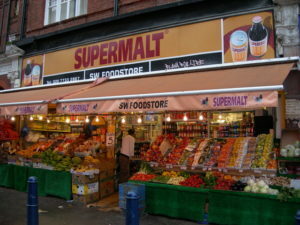 Big chains of shops like Sainsbury’s, Tesco, Aldi, Asda, M&S, John Lewis, Waitrose, and others. Opening hours are generally shorter till evening. Typically one day a week, there is a long shopping day. There are some superstores which are open 24 hours. Best to always check on their website for your local shop opening and closing timings. Small neighborhood shops. 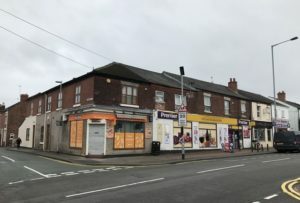 Typically these are Asian run corner shops which are open for longer hours and on weekends as well. In the city center, there are usually hawkers / small fruit and veg vendors. Some of the shops run only on a weekend where you can buy small household stuff and toiletries. Car boot sales. In case you are not familiar with what is a car boot sale, it’s mainly people like you and me selling what they do not need at home. So, generally speaking, these are second hand / used items. People sell their old electronic items, toys, used furniture, used books, legos, puzzles and so on. Many people sell their used clothes like jackets as well. High-end shops. Typically these are very expensive shops and not all will be able to afford it. In London, Selfridges and Harrods are well-known luxury stores. There are very few things the British love to do more than shop. Harrod’s department store is perhaps the best known. Harrod’s offers everything from everyday apparel to children’s $50,000 fur coats. However, many shops in addition to Harrod’s, give the British a chance to buy a wide variety of great products from cosmetics to electronics. 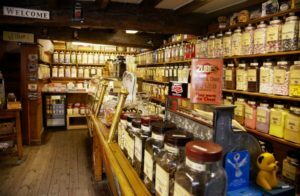 The handmade batches of cosmetics along with bath and body products make Lush Britain’s favorite store. The store is known for the smart staff and the high-quality products. It specializes in creating products that are handmade in small batches. The original line was cosmetics. Additional products now include items for the kitchen. Comments include how well the staff knows the products along with high quality. Lush is followed by the department store John Henry which specializes in electronics, but also offers products for the home. It is a lot like Mark & Spencer’s which offers everything from family clothes to home products and furniture. For a young British female, a stop at Claire’s is a routine experience. Accessories such as purses and jewelry are available. The entire family will enjoy a shopping trip to the local fruit and antique fairs. The fairs are regularly scheduled and listed on a number of websites. Britain does have a love for cycles and autos. However, the love for the cycle is not reflected in Britain’s feelings for Halford’s. As a supplier of cycles, cycle accessories, and auto accessories, such as navigation systems, the staff did not seem to know the products well. Another store on the bottom is WH Smith. As a supplier of books, e-readers and stationary, the store was cluttered. Britain food stores have shorter Sunday hours. The largest food chain is Tesco’s. Almost one in three British shops at Tesco making it Britain’s favorite. Not only do they offer the typical grocery fare, but books, clothing, and electronics as well. A competitor of Tesco’s is Sainsbury. They offer the same wide range of products as Tesco, including complete banking services. There are a lot of really big malls in Britain. The biggest one is Westfield Stratford City. With 339 stores, all of the favorites have a spot here. 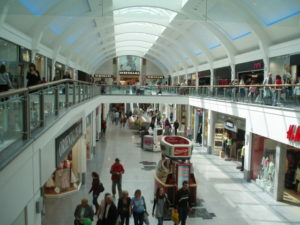 Also providing space for Britain’s entire favorite is the Metrocentre in Gateshead. It’s a bit smaller space than the Westfield Stratford City but with 342 stores there are a few more stores. Just like the ones above the Trafford Center located in Manchester has plenty of stores at a total of 280. But there are also 35 restaurants and a cinema. Malls are generally open from 10:00 to 9:00 Monday through Friday, from 9:00 to 9:00 Saturday and shorter hours of noon to 6:00 on Sunday. There are so many ways and places to shop in Britain. Options run from the affordable to the extreme. Britain is a complete shopping experience.